A wonderful body spray that provides refreshment for the whole body. A body spray is a lighter alternative to a perfume. Can be applied as a perfume on the hand wrist and neck but also to the whole body. 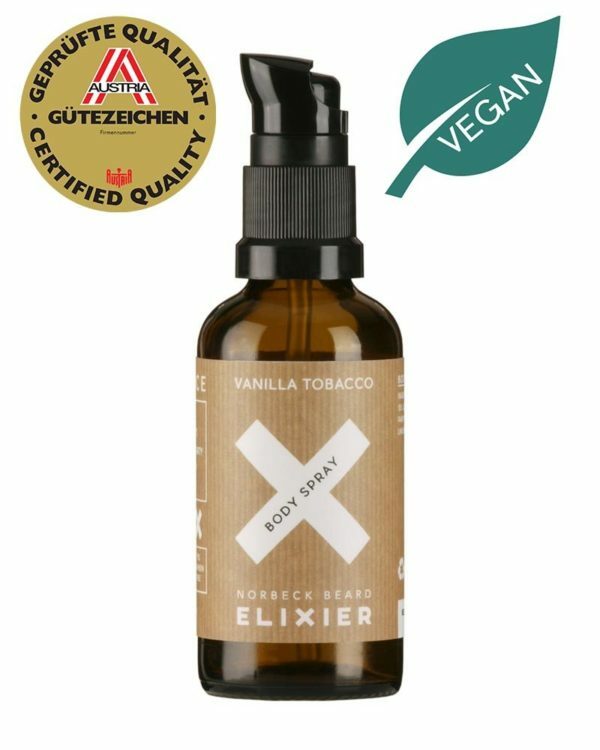 This body spray is the perfect complement to the Elixier Vanilla Tobacco line. 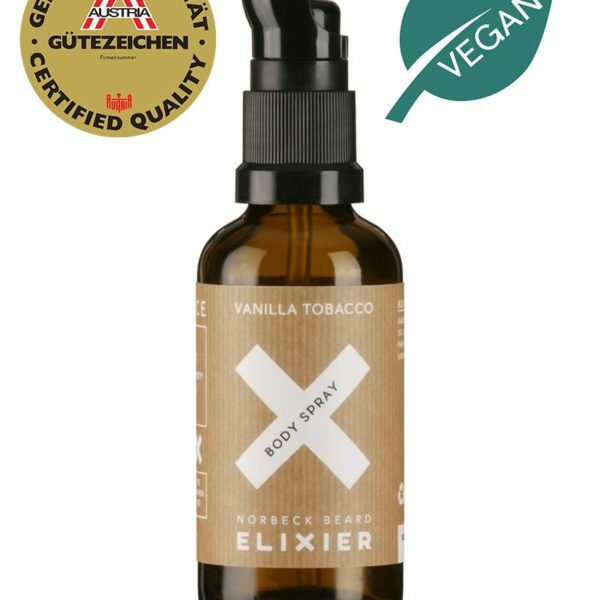 Tobacco Vanilla is characterized by an Oriental scent note, which combined with opulent tobacco leaf essences releases an aromatic spice. Vanilla oil smells warm and sweet. This oil relaxes and soothes the mind but also. A smell of revelations. It is a stroke of souls against everyday stress. Vanilla flatters our soul, it envelops us, it gives us confidence and well-being. Tobacco: The scent is sweet-spicy. It is reminiscent of the smoky atmosphere of an English gentlemen’s club. Tobacco has a warm, rich scent, which can be perceived sweetly or lightly flowery. Thanks to the Aloe Vera, this body spray moisturizes and nourishes the skin. Ideal as refreshment after sport or saunas. Aloe Vera provides care for heavily stressed skin. Leaves the skin soft and supple. The body spray can be applied like a perfume to the neck or the wrists or to the whole body for a more intense result. When the body spray is applied after the morning shower, it gives the body a pleasant smell during the day.